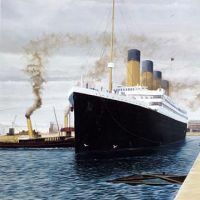 Manx Independent Carriers move the TITANIC!! The Isle of Man's new Animal Waste Processing Plant has been officially opened. 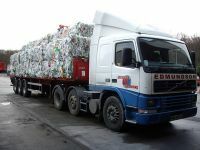 The Isle of Man KERBSIDE recycling collections are a great success according to project managers at the Department of Local Government and the Environment. John Quaye and Steve Taggart, Recycling Officer of the DOLGE Waste Management Unit with one of the new recycling vehicles.